The Kingswood match (16th July) was won by Steve McQueen (photo to the left of the page) on peg 46 with 41 Lbs. Bream, fishing method feeder / worm on the ‘tip’ . 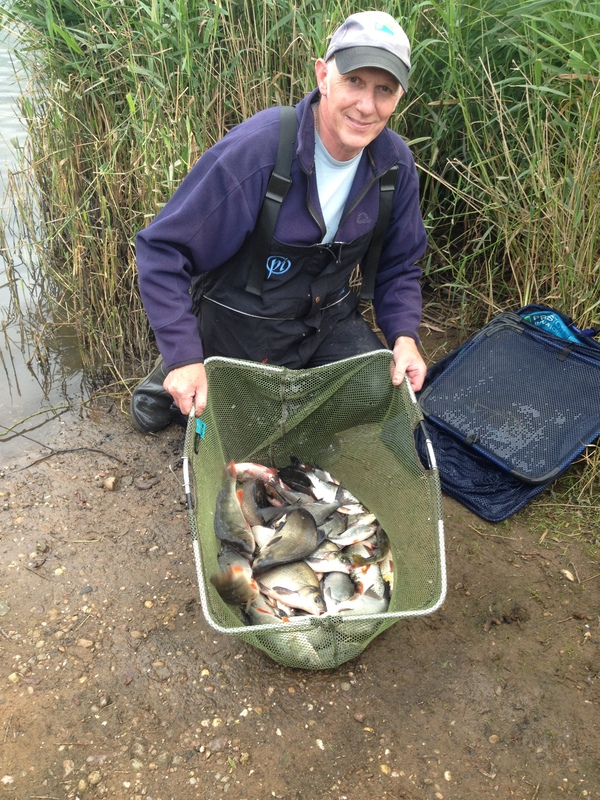 Many other sections were won with mixed bags of Roach, Perch and Skimmer Bream caught mostly on Wagler float tactics using a variety of baits. Steve Preece (picture to the right) also caught an impressive 28lb mixed bag of fish caught on the Wagler using pellet from peg 38. Over all positive news for kingswood, with good weights of silvers caught, proof that the stocking program is supporting the quality of fishing.